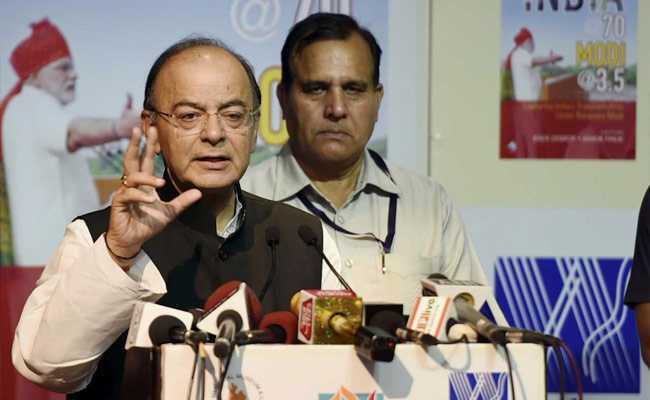 "We have to grow at a much faster pace," Arun Jaitley said, adding that a young and aspirational population wants change and reforms at a fast pace, and is impatient to see results. Arun Jaitley will attend the IMF-World Bank meeting in Washington. Washington: Finance Minister Arun Jaitley said India needs to grow at a faster pace, while asserting that there was public support for the government's reform initiatives despite the difficulties arising from implementing GST, for instance. "The obvious challenge to the country is to grow and grow fast. It has to grow at a much higher rate than we have been growing in recent history," Mr Jaitley said in an address via video conference to the Berkeley India Conference prior to his departure for the US. He is due to leave for the US on Monday to attend the forthcoming annual meeting of International Monetary Fund and World Bank in Washington. "Time therefore is running against us," Mr Jaitley said. Acknowledging issues related to compliance, Mr Jaitley said the GST Council had noted these challenges and is taking steps to address them. On the demonetisation of high value currency, he said the Indian norm was to live with a high-cash economy and not pay taxes.